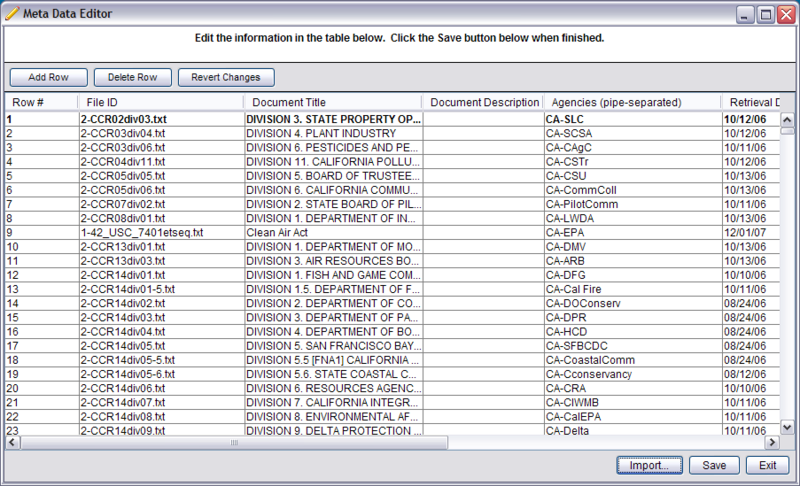 The Meta Data Editor and the Agency Editor allow you add, update or remove information about MINOE's document collection. What is Meta Data for? Simply having a collection of documents to search through is not enough for running a meaningful analysis. There needs to be meta information so that you can decide what to call the documents, how those documents should be tagged and how your results should be filtered or grouped. 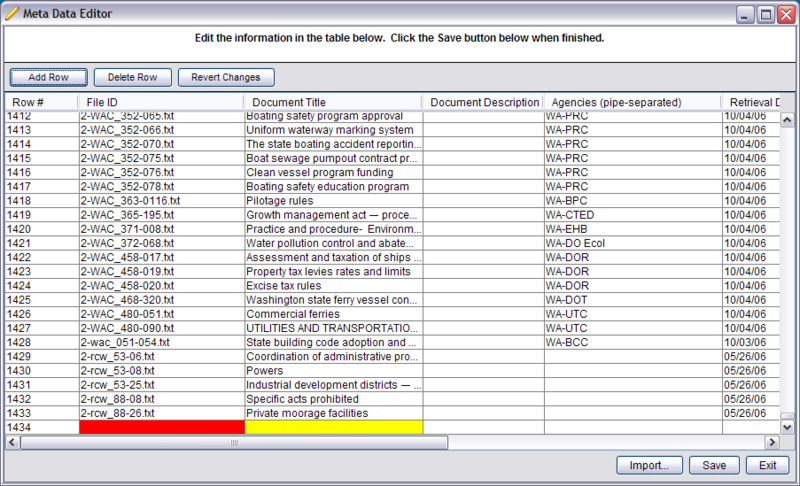 Information is displayed in a table format, where each cell is editable. Add Row - Adds a new row at the bottom of the table. Delete Row - Deletes the selected row. Revert Changes - Undoes any changes that have been made since last saving. Import - If you have a meta data file, you can import that information here. Save - Saves all changes that have been made. Exit - Closes the editor. 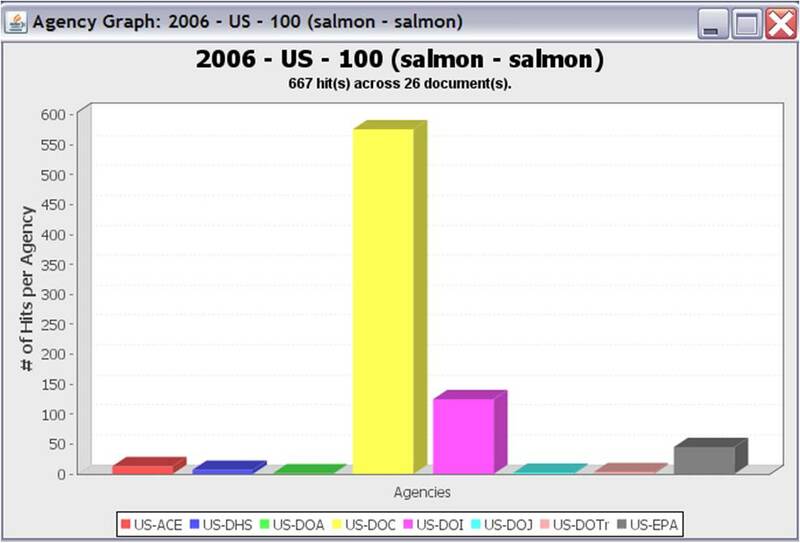 The features of the Agency Editor and the Meta Data Editor are the same as described above. 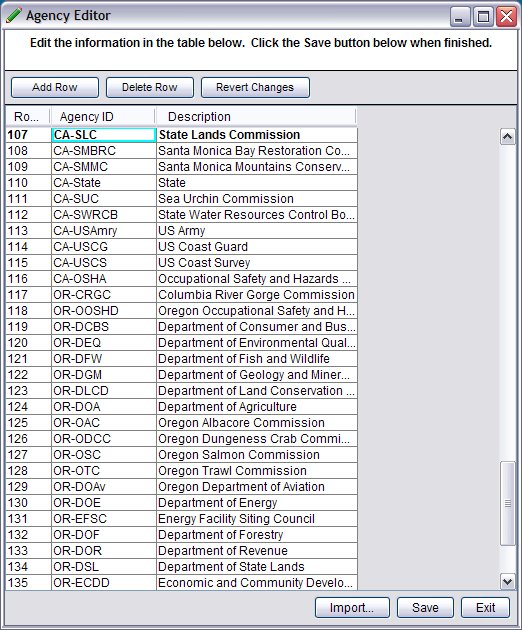 In the figure above, you can see that the Agency ID on row 107 corresponds with row #1 of the "Agencies" column in the first figure. The Agency ID and Agency Description can be called whatever you like.